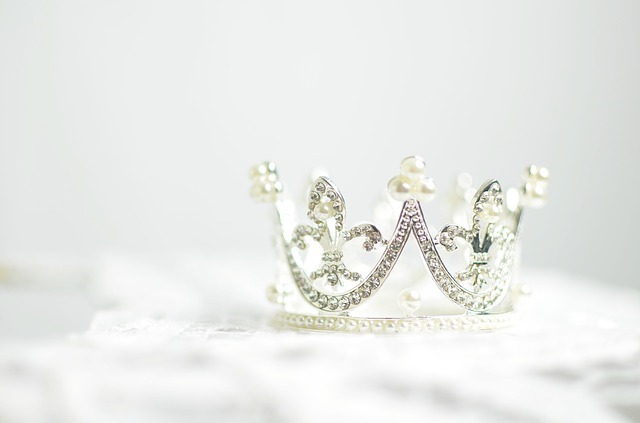 Chapter 3, Mishna 18(b): Father Or King? Last week we discussed the distinction between being fashioned in the image of G-d, which is the case with all humanity, and being the “children” of G-d, which is unique to Israel. As we explained, every human being has a divine soul and a natural inclination towards goodness — as well as the free will to follow the dictates of his soul rather than those of his body. In this sense we are all formed in G-d’s image. This trait, however, goes only so far. If a person ignores his soul and follows his animalistic and/or selfish desires, given enough time his soul will ebb away and cease to influence him for the better. And in a spiritual sense — and in the eyes of G-d — he will already be dead. We, the Children of Israel, are different. We do not only *have* souls, but they are forced upon us. We are the children of G-d (figuratively, of course). And just as a truly caring parent never entirely forsakes his child, G-d never allows our souls to entirely perish within us. Even if a Jew lapses fully from spirituality and tradition, G-d preserves that divine spark within him or her, not allowing it to become utterly extinguished. And the Jew, the child of G-d, no matter where he finds himself and how many years or generations have elapsed, will feel that inexorable pull towards his roots. His conscience — his soul — will never be fully quieted. He will know there is something different — something special — about him. Even if hardly audible, his soul will draw him towards G-d. And he will be plagued with a deep and gnawing sense of lacking until he heeds its call. Before moving on, I should emphasize what this distinction between Jew and Gentile does and does not imply. As we just explained, G-d forces the Jewish people to be in touch with their souls and to never forget Him. But this does not imply that G-d does not desire a relationship with all mankind. We are all precious to G-d. The extra level of guarantee was a special gift inherited from our forefathers — we have an unbreakable bond with G-d. But unlike most other religions, this does not imply that G-d is Israel’s exclusive domain. His is the G-d of all mankind, and desires a loving bond with every one of us. It is just that the other nations can break it if they so choose while Israel may not. Another way of looking at the distinction between Jew and Gentile is as follows. The Children of Israel are referred to here as G-d’s children. How, by contrast, would we describe the relationship G-d has with the rest of mankind? As His subjects. To the rest of man G-d is King. To us He is King as well, to be sure — in fact in many ways His governance of us is far more demanding than of the world at large — but He is also Father. I would like to examine this concept a little more closely. I believe there are two defining aspects to the master-subject relationship. The first is in terms of intensity. Say a subject serves his king faithfully. He will certainly be duly rewarded. And if he openly rebels he will be punished. Say, however, he neither distinguishes himself for good nor bad. He will attract little notice. The FBI will not stalk him, the IRS will not audit his returns, and the NSA will not monitor his correspondence (maybe they will anyway… whatever). But neither will he ever be distinguished for superior service. He will likely live out his life unseen and unnoticed. Now, of course, the analogy of being unnoticed is not really applicable to an all-knowing G-d. G-d knows each of us quite well. He sees a lot more beauty and value in the human soul than we ourselves are aware of. However, such a subject will not develop a warm and loving relationship with his King. He will exist as a mere subject or servant of a remote Creator. It will be a loss to himself, to G-d, and to humanity, but life will go on. A second aspect of the king-subject or master-servant relationship is that it is in essence a pact of pragmatism. Each party is looking out for itself. It does for the other because (and so long as) it serves its own interests. If a servant does not obey his master properly, the master can easily dispose of him and replace him with another more suited. And if a servant finds his master too cruel or oppressive, he will rebel or run away (or at least perform as little service as he can get away with). Their bond is no stronger than the interests thereby served — what we will learn later is called “a love which is dependent on something” (Pirkei Avos 5:19), and which is as transient as the “something” it is dependent upon. The child likewise wants the parent’s needs fulfilled because he feels an instinctive bond with his parent. Ideally, he does not serve the parent because he gets something out of it at all, but because it is what his parent wishes. And such is far worse even than insulting the other. Even if I argue, yell and insult, I at least feel you are worthy of my insult: I have something to say to you. There are some lines of communication: you mean enough to me to be yelled at. But if I ignore you, you are not worthy of any regard. You do not exist as far as I’m concerned. You are a nothing, not even worth the insult. Sometimes, a wife in a difficult marriage will say she’d rather be ignored than treated the way she is. That might well be true. But, as my teacher R. Yochanan Zweig pointed out, when spouses begin ignoring each other rather than yelling, it is clear their relationship is over. They might find living their own separate lives preferable to living with each other. But calling a cease-fire is not marriage. It is living separate, isolated existences. Choosing not to communicate and endure difficult interactions might improve the lots of the individuals involved (and might very well be the only practical approach), but it also makes it clear that the relationship is dead. We can now appreciate our mishna’s final statement. G-d granted Israel the precious utensil known as the Torah. G-d did not grant it to us as part of a contractual or king-subject relationship. The idea is not: Do this and earn reward. A servant or an employee might be offered such: Work overtime and I’ll give you a bonus. And he might well decide to forgo the bonus (or even suffer the punishment) just to avoid the toil. It’s his reward to accept or reject. But this is not the case with the Torah. Our mishna calls it G-d’s “precious utensil.” It is a symbol of G-d’s bond with us — of G-d’s marriage contract with Israel. And such a precious gift cannot be rejected — just as the relationship behind it can never be ignored. We must accept and cherish G-d’s precious bestowment, bequeathed from loving Father to child. For G-d has given us the means to a true relationship with Him. By studying the Torah’s wisdom and values and integrating them into our beings, we become children worthy of our Parent. For it is a “good possession;” G-d asks that we not forsake it. Text Copyright © 2009 by Rabbi Dovid Rosenfeld and Torah.org.